Falling short: Market regulator Sebi office building in Mumbai. Mumbai: The Securities and Exchange Board of India (Sebi) faces a shortage of trained staff to conduct effective surveillance, investigation and enforcement for a market that has grown by leaps and bounds in the last five years, the US Agency for International Development (USAID) said. Sebi’s regulatory task force has not grown despite significant growth of the market and intermediaries over the past five years. As of 31 March 2006, it had 441 employees in various grades, including 288 officers. The watchdog body is frequently confronted with situations where it recruits, trains and provides experience to staff that leave for higher-paying jobs. In addition to staff constraints, the market regulator also lacks immediate access to specific information on market intermediaries, the report said. It does not have a centralized information database for several thousands of market intermediaries that can boost the surveillance capacity of the regulator at a time when it is facing shortage of trained staff, the report said, emphasizing that the regulator needed a centralized database on the lines of the US Central Registration Department (CRD). In the US, CRD maintains comprehensive data on all intermediaries, including information on their background, identity, education, employment, certifications and conduct. However, in India the information about intermediaries is scattered and inaccessible. 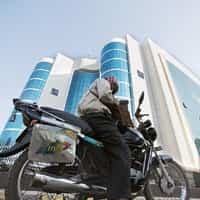 Registration information filed by intermediaries such as their jobs, residences and conduct histories, is recorded in various systems—including on paper—in several places, either at individual exchanges or at Sebi, the report said. Meanwhile, Sebi has delegated to the National Institute of Securities Market the additional responsibility of maintaining records of each intermediary’s qualifications. Sebi’s counterpart in the US, the Securities and Exchange Commission, also maintains similar information for all registered investment advisors, called Investment Adviser Registration Depository. For a market of India’s size, potential market regulatory capacity must be significantly enhanced, which is a major issue for the Indian regulator, the report said.